Item # 291533 Stash Points: 2,199 (?) This is the number of points you get in The Zumiez Stash for purchasing this item. Stash points are redeemable for exclusive rewards only available to Zumiez Stash members. To redeem your points check out the rewards catalog on thestash.zumiez.com. 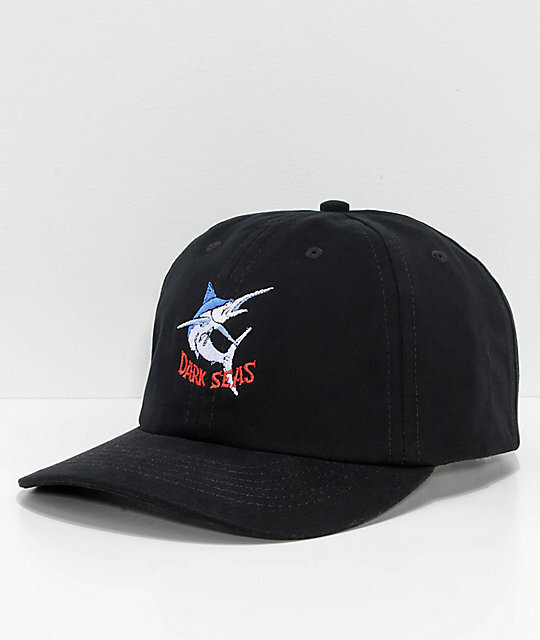 From the deep sea to the inner city the Bill Fish strapback hat from Dark Seas has you covered. A black baseball hat features a sword fish with "Dark Seas" below embroidered at the front and is finished with a strapback sizing piece for a custom and secure fit. 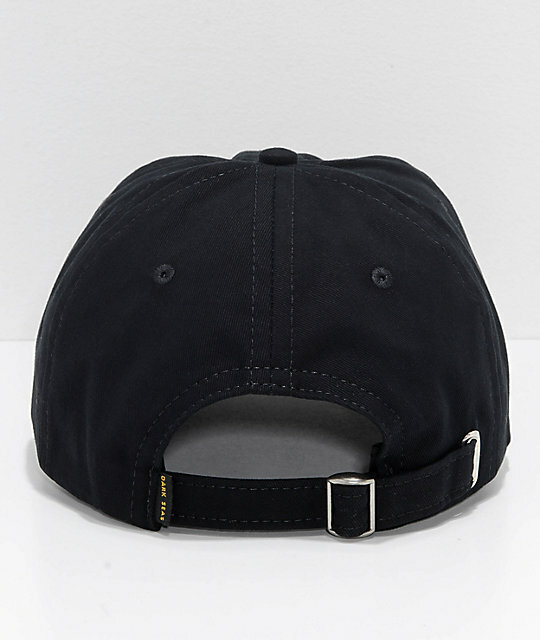 Bill Fish Black Strapback Hat from Dark Seas. Hand wash, air dry only.